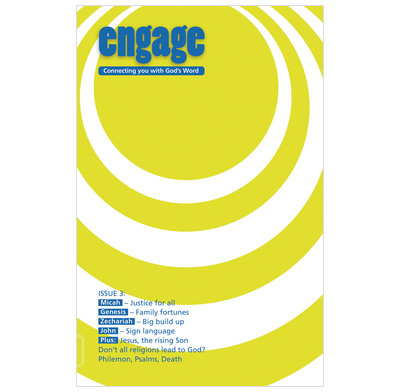 Issue 3 of Engage looks at John, Micah, Jacob & Joseph, Zechariah and Philemon! Issue 3 of Engage - daily Bible reading notes for teenagers. This issue looks at John, Micah, Jacob & Joseph, Zechariah and Philemon! It also examines questions like 'aren't all religions the same? ', and contains articles on death and bereavement. Tricky: Don't all religions lead to God?